There are typically only a couple of reasons why your doctor would ever suggest tonsil removal, commonly known as a Tonsillectomy. Each year, over 500,000 Americans have their tonsils removed for one reason or another. One of these reasons may be due to chronic inflammation or infection of the tonsils. Those who experience frequent tonsillitis may consider a tonsillectomy as a way to remedy this issue. Another common reason why one may consider a tonsillectomy is if their physician has determined that their tonsils are oversized which can lead to issues with snoring or sleep apnea. Abnormally large tonsils can fall into the back of the throat and cause a partial or complete blockage of the airway. When a partial blockage occurs, the tonsils rattle around while breathing and generate the sound of snoring. In other cases, the tonsils completely block off the flow of air, causing an apneic episode which is when airflow stops momentarily, the body awakens and breathing resumes once again. Each episode can last for a few seconds to a minute or more. 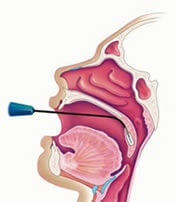 Most individuals with sleep apnea experience several apneic episodes each night. Regardless of the reason, you may have been advised by your physician that a tonsillectomy is in your future. There are several techniques that are commonly used to remove tonsils, some more popular than others. 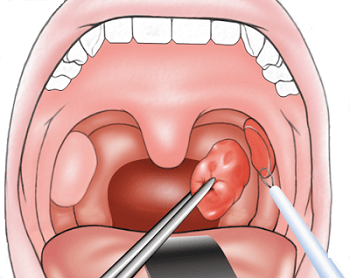 In the past, the dissection and snare technique was used in which forceps, scissors, and a snare are used to remove the tonsils. Today electrocautery (electrosurgery) is far more common and is a method that uses electrical energy to separate tonsil tissue from surrounding tissue. The device used to cut the tonsils generates concentrated energy that produces heat up to 800° F in order to cut through tissue. The energy and heat cause cells to rupture and tissue vaporizes. One of the greatest benefits of using this method is the fact that the heat cauterizes the tissue and bleeding is minimized. There are several other methods that are used such as radiofrequency ablation, thermal welding, and the carbon dioxide laser. One method that has gained popularity in recent years is Coblation, a method that was discovered by accident in the 1990’s. A Coblation Tonsillectomy is a type of technology that was introduced by Hira V. Thapliyal and Philip E. Eggers in the mid 1990’s. They were in search of a method to unblock coronary arteries by use of electrosurgical energy. 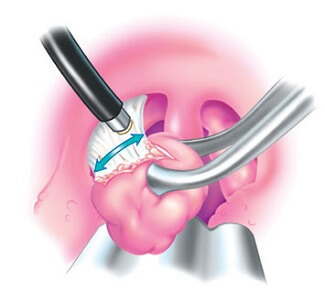 After realizing that their coblation wand could be used during surgeries such as tonsillectomies, they formed ArothoCare and began to market their product at the arthroscopy show in 1996. The name Coblation can be broken down – Co, meaning controlled and blation which is derived from the word ablation, which means to reduce the size of something. A Coblation wand combines the use of a saline solution and radiofrequency to generate a plasma field. What makes Coblation so unique is the fact that it generates very little heat. Unlike electrosurgery which generates heat upwards to 800° F, cobalation only reached around 175° F which is no hotter than a cup of coffee or tea. As a result, the healthy tissue in which the tonsils are cut from does not sustain the heat damage that typically occurs with electrosurgery. Taking a closer look, the coblation system consists of four parts – The RF generator, foot pedal, irrigation system and wand. The RF generator creates radiofrequency signals that can be used for either coblation or cauterization, depending on which setting is used. The foot pedals allow the surgeon to choose between each mode. The wand is the tool that’s used to perform the procedure. Wands can be switched out and are available in several different sizes depending upon the application. The wand contains both active and passive electrodes which interact with the flow of a saline solution which turns into ions and forms plasma. It’s the plasma that cuts through the tissue. This leads us to the question of whether or not coblation is better than other surgical methods such as electrocautery. When this technology was initially released it was touted as a better way to perform a tonsillectomy because the low heat did not destroy healthy tissue. It’s said that as a result of using low heat, the patient experiences less pain and bleeding after the operation. Ask anyone who has experienced tonsillectomy and they will tell you that the recovery period is not at all pleasant. While many physicians believe that coblation is a safer, gentler method, a recent paper “Coblation versus other surgical techniques for tonsillectomy” suggests that there is little-supporting evidence showing this method to be superior. The paper examined 29 previous studies, concluding that there was not much evidence to support that the claims of coblation being a less painful procedure are true. Dr. Melissa Ann Pynnonen, a professor in Michigan Medicine’s Department of Otolaryngology, believes that the marketing efforts by medical device companies have caused people to believe that coblation makes the procedure less painful. In other words, regardless of the method used to remove your tonsils, swallowing is going to be painful for at least 14 days. Maybe you are thinking to yourself that a tonsillectomy doesn’t sound like something you would like to experience. Is there an alternative to having a Tonsillectomy? Actually, there is. In the early 2000’s a new procedure was approved by the Food and Drug Administration (FDA). Rather than removing your tonsils, Somnoplasty allows you to keep your tonsils in place while reducing their size. While this procedure can be helpful to those who experience snoring or sleep apnea, patients who experience frequent infections in their tonsils typically will not benefit. The procedure involves inserting electrodes into the tonsils and delivering RF energy directly within the tonsils. These electrodes are very thin and needle-like. The needle/ electrode is insulated with the exception of the tip. The energy delivered selectively destroys tissue and causes the tonsils to shrink from within. While the tonsils will still be present, they will become much smaller which can prevent them from interfering with breathing and causing snoring or sleep apnea. This is typically an outpatient surgery that is performed under local anesthesia. The procedure typically takes between 30-45 minutes from start to finish. The benefit of having a Somnoplasty instead of Tonsillectomy is less pain and post-operation bleeding. If you are suffering from snoring or sleep apnea and are considering a tonsillectomy, you may want to speak with your doctor about having a somnoplasty instead. 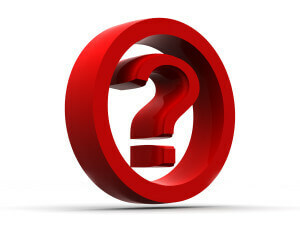 Next post: Is There A Permanent Cure For Snoring?